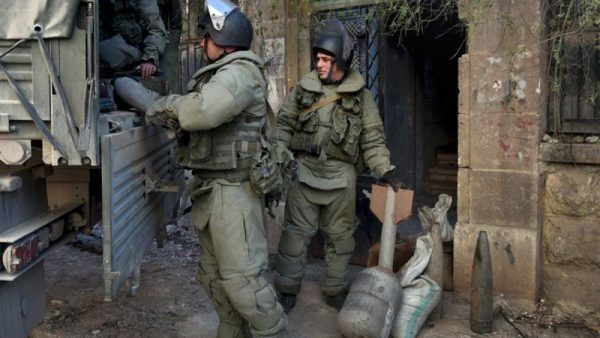 Moscow, April 24, Interfax - Russian sappers demined Greek Orthodox church of the Assumption of the Mother of God in Syrian Aleppo. When sappers examined the yard, they found burials of late 19th early 20th century, tombs of Russian Empire diplomats: Сonsul Mikhail Yakimansky and State Councilor Ivan Grigorovich, TVC reported on Monday. Sacristan of the 15th century church Antoine Nakule told that terrorists targeted directly at the building, the dome and walls were damaged. They also robbed the church, set on fire unique icons and Gospels, however the major part was rescued, including icons of the Mother of God and Christ. “These images were painted in the early 18th century. They were brought from Russia. We had hidden them, before terrorists entered the church. Other icons were mostly stolen or set on fire,” rector of the church priest Gassan Ward said. On Monday, the first time after long months the church bells rang. Restoration of the building will start in nearest days.